Why is it important to have a commercial heating repair company you can call anytime, day or night? Because as a business owner, you have the responsibility to keep your employees, customers, and products in a controlled indoor environment. This means as the temperature starts to drop, a heating system that works when you need it is necessary. Unfortunately, life is full of unexpected complications. Even the best heating systems break down. While routine upkeep and preventative maintenance goes a long way toward making this less likely, a commercial heating unit can still experience unexpected emergencies. When this is the case, every business owner should have a plan of action that is quick and efficient to minimize hassle in a stressful time. Commercial heating repairs need to be treated with time sensitivity. A winter chill in Raleigh can make any commercial space unpleasant very quickly. If you think your commercial heating system needs a repair, don’t put the call off any longer. G&M technicians are available 24 hours a day, 7 days a week to answer your heating repair emergencies. 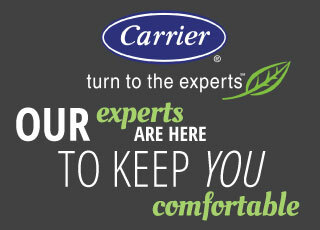 You don’t have to wait until disaster strikes to call the commercial heating experts. If you think your heating system isn’t delivering peak performance, getting an early assessment could prevent a more expensive and inconvenient repair down the line. Have you noticed that your heating unit isn’t heating evenly, or that your monthly energy bill has gradually been on the rise? These are common warning signs of an issue that is threatening your commercial heating system. Calling for an evaluation at your convenience is always better than calling in a frenzy when there’s an emergency repair to deal with. Commercial heating systems are a big investment that should be serviced and maintained regularly for optimum efficiency, performance, and longer-lasting quality. Skipping regular maintenance increases the likelihood that your commercial heating unit will fall into disrepair or become an unpredictable liability to your business. 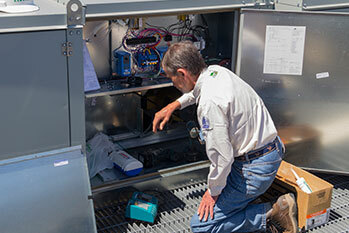 A G&M qualified technician can minimize stress by spotting problems early with preventative maintenance. Our commercial preventative maintenance agreements are tailored to your business’s needs to help prevent any potential downtime for your commercial heating system. It’s never a good thing when a commercial heating system conks out. Don’t be caught in this situation without an HVAC team you can trust. For more information about commercial heating services call G&M today at 919-772-8820.